RS. 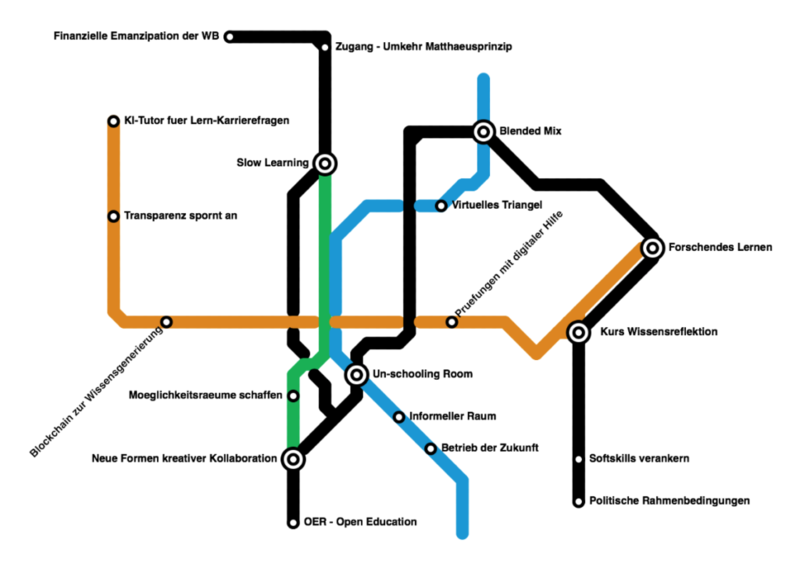 The first public event of the Think Tank TRANSIT took place in Zurich on January 16th. 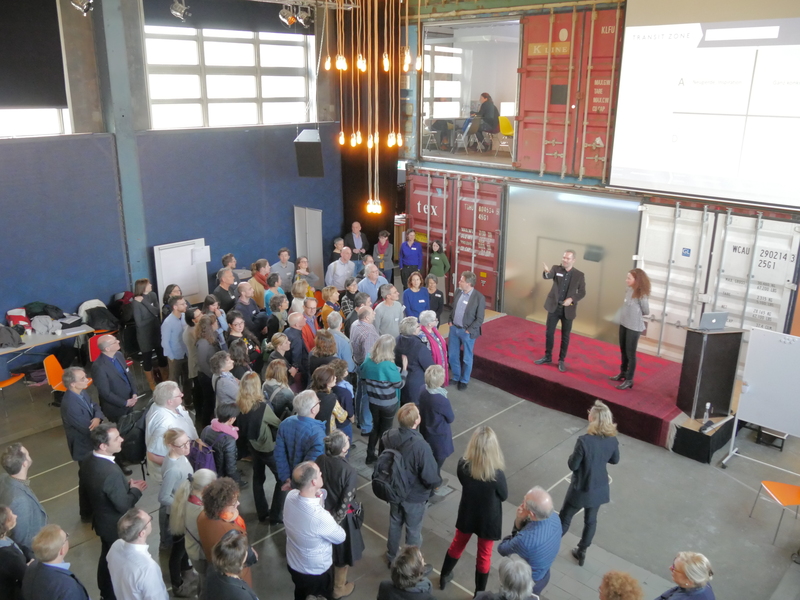 Almost 90 people embarked on a journey into the future of adult learning. What is the future of adult learning like? Influenced by various trends such as digitalisation, migration, urbanisation and many more, adult learning definitely will change. Most certainly, it will not lose its importance. But which topics should it offer and in which formats? TRANSIT wanted to address these questions on the basis of existing knowledge. That is why we have invited actors in the field of adult learning to workshops. In these workshops we successfully developed scenarios for selected topics like “creativity”, “learning and experience spaces” and “multiple knowledge sources”. An evaluation of the results will be presented by the Think Tank in spring. The workshops deliberately focused on the near future in order not to drift into speculation. In addition, TRANSIT took its own name literally and invited the participants on a journey. The scenarios were then understood as “near destinations”. These “near destinations” were entered into a kind of network of lines in which desirable and fulfillable goals were prioritized. Following this first public event, TRANSIT is now planning for 2019. For the German-speaking part of Switzerland, we are planning another major event in autumn/winter. In the meantime, the Think Tank will create further opportunities for encounters, exchange and cooperation, to which all interested parties are cordially invited. The first Think Tank events in French and Italian Switzerland are also planned for 2019. Ich habe an diesem interessanten und inspirierenden Tag teilgenommen. Ich erinnere mich jedoch nicht, dass wir uns in Englisch verständigt hätten. Was waren denn die Überlegungen diesen Artikel in Englisch zu halten, bzw. nicht zu übersetzten? Vielen Dank für den spannenden Nachmittag. Ich bin gespannt, was daraus entstehen wird. Mein Eindruck war, dass all die anwesenden Anspruchspersonen ein grosses Potenzial an Wissen, Erfahrungen und Visionen darstellen. Dies zu vernetzen wäre ein grosser Gewinn und die Institutionalisierung des Austauschs untereinander möglicherweise ein sinnvoller next step.